The Eco Universal Coils (EUC) are specially engineered to make switching coils easier than ever. With no threads, the EUC coils are easy to remove and install, while still fitting snug when pressed into the base of the Estoc Tank. 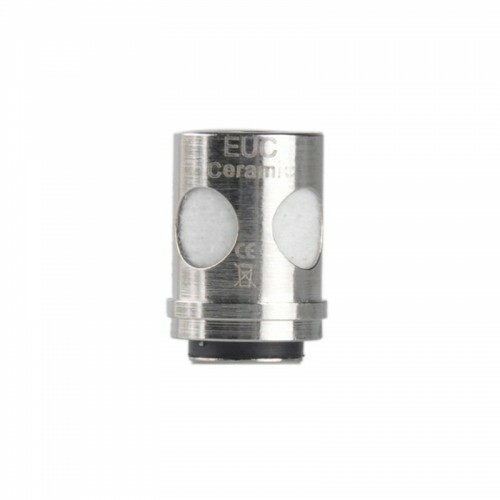 Two versions of the EUC heads are available to cater to your vaping preference. From the classic Clapton coils for that large surface area and satisfying vapor to the SS316L coils which utilize Vaporesso’s revolutionary ceramic wick. VAPORESSO EUC TRADITIONAL CLAPTON .5 OHM COILSThe Vaporesso constantly obsess over their next break..